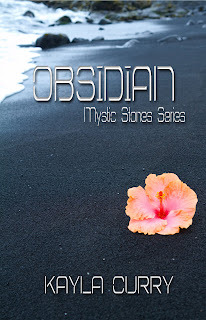 My fellow blogger and writer Kayla Curry has just released a short story in the same world as her novel, Obsidian. Check it out! Ruby: A Mystic Stones Jewel is now available! 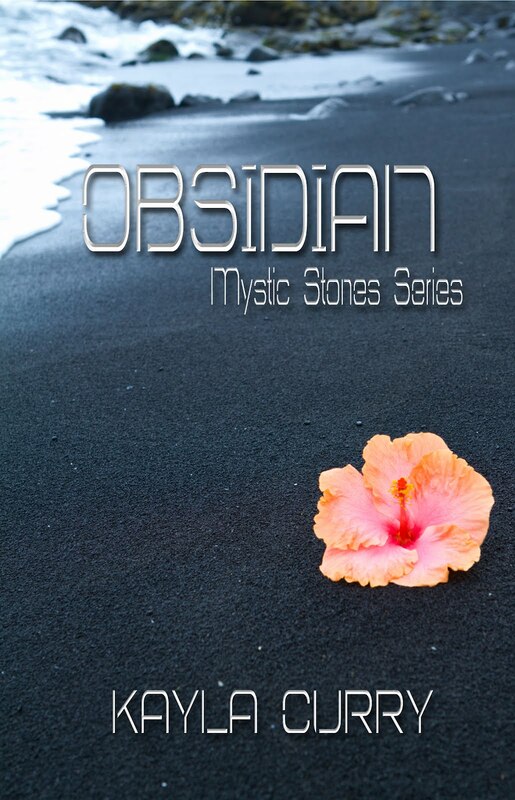 Ruby is a short story companion to the novel Obsidian: Mystic Stones Series #1 and can be read before or after the novel. The story will be listed at $.99, but I will be offering FREE copies for anyone interested. First, I'll post the blurbs for Ruby and Obsidian, then a little teaser from Ruby and last but not least, 4 ways to get Ruby for FREE! Attraction pulls Ava Tanner to her client Tom Walker, but her professionalism prevents her from making any moves. Tom wants Ava in more ways than one and his desires are almost too much to keep inside. He needs her, but he doesn't want to scare her away for fear of angering the council. Will the spark between Ava and Tom turn into something more, or will Ava allow it to fizzle out? Ava Tanner finds herself in a world without satellite technology in a time of GPS, Smart Phones and Tablets. When she discovers that a corporation headed by vampires with a sinister motive is to blame, her world is turned upside-down. After a narrow escape, she learns a mystical secret about herself that could aide her in her fight against the vampires. Unfortunately, the vampires see her either as a valuable asset or a target for destruction. When the world is on the brink of complete social and technological devastation, one must ask themselves: Would I give up my blood for the modern ideal way of life, or will I wage war with the overlords of chaos? 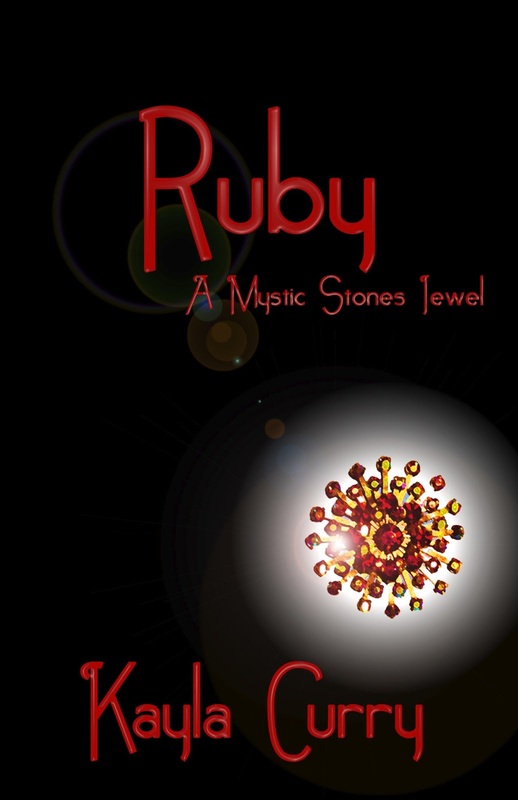 Enjoy this teaser from "Ruby"! The metal elevator doors glided open to the luxurious seventeenth floor of the Herrick-Peyton building. Fresh, colorful hibiscus flowers welcomed Ava as she stepped into the reception area. She glanced around and made eye contact with the man she was looking for: Tom Walker. His face lit up when he saw her, and his handsome grin made Ava’s own smile spread across her face. “Miss Tanner, what brings you up to the seventeenth floor?” Mr. Walker asked. “Well, it’s been almost a year since you signed your last lease, and since you seem so comfortable up here, I thought I’d bring up the renewal papers,” Ava said as she looked around the lobby. Ava nodded and followed Tom to his office. He stopped short and let her enter first as he gently placed a hand on the small of her back. Butterflies erupted in her stomach. He closed the door behind them and gestured at one of the guest chairs while taking the packet of papers from her. She could smell his cologne as he approached her. It reminded her of rain and fresh cut grass. He took a seat behind his large desk, which shined in the sunlight from the window behind him. “So the papers would get lost on your desk, huh?” Ava asked. “Well, I might have exaggerated a bit,” he replied. Silence followed as he flipped through the pages of the lease. “Oh, no. Let’s not start that, Mr. Walker. You know I can’t work for you,” Ava said, before he got the question out. “How did you know?” He grinned. “I just don’t think I’d fit in at Psytech, and I like where I am now,” Ava replied. The pen dragged on the last page of the renewal papers as Tom signed his name with a flourish. He stood and rounded the desk with a predatory look on his face. It was one that Ava had seen often. She couldn’t convince herself it was only the look of a man who wanted her to work for him. To her, it sometimes seemed that he wanted so much more. She took a deep breath as he came closer. She was about to stand, but he surprised her by sitting in the guest seat next to her. Want your own copy? FOR FREE!? Leave a review of Obsidian. Post about Obsidian/Ruby on your blog. Post about Obsidian/Ruby on Facebook or Twitter everyday for one week. Kayla Curry, author of Obsidian: The Mystic Stones Series, lives in North Platte, Nebraska with her husband and two children. She likes spending time with family and friends when she’s not writing or marketing. Her other hobbies include reading and arts and crafts. You can visit her website at http://sites.google.com/site/kaylacurryauthor/ to keep up on her progress in the Mystic Stones Series.